Take 30 world class circus artistes add 6 sensational musicians, stir in a rainbow of incredible costumes, infuse with the Latin passion and excitement of hot Havana carnival....CIRCO CUBA LIBRE....the free spirit of circus! 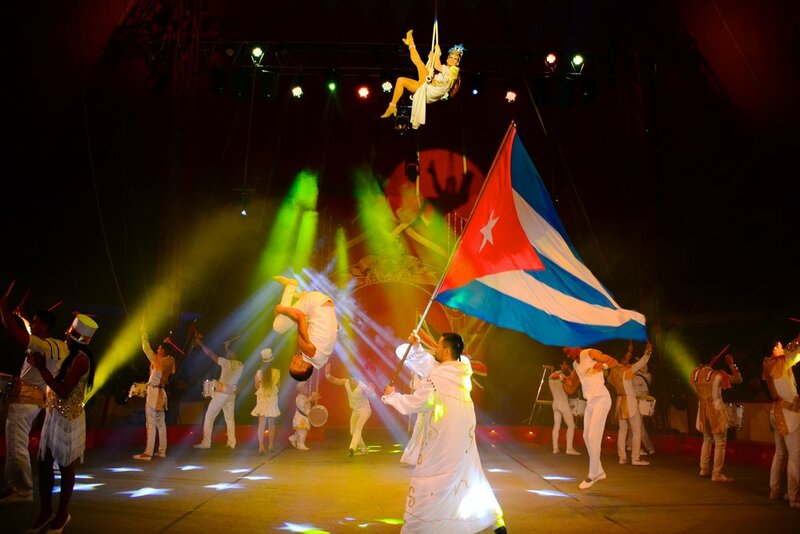 For the first time in the UK direct from Cuba's Circo Nacional, Havana, comes one of the worlds great circuses. The show pulsates with the rhythms of Mambo, Salsa and Cha Cha Cha. Featuring award winning circus artistes with extraordinary displays of skills and agility, comedy, dance and music that will have you out of your seats and dancing in the aisles. CIRCO CUBA LIBRE...AN INTOXICATING COCKTAIL OF A SHOW!